The Peace Memorial Park should feature at the top of everybody’s itinerary when visiting Hiroshima. 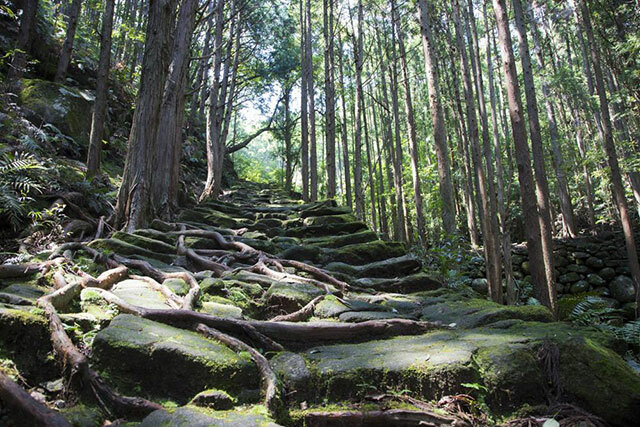 While a visit to the park is bound to put you in a thoughtful mood, this is one of the best places to discover Hiroshima’s unique city center and its omnipresent theme of peace. It’s not hard to find the Peace Memorial Park with its central location and good signposting. If you arrive by bus or tram, get off at Genbaku Dome-mae where you will instantly come across the Genbaku Dome. 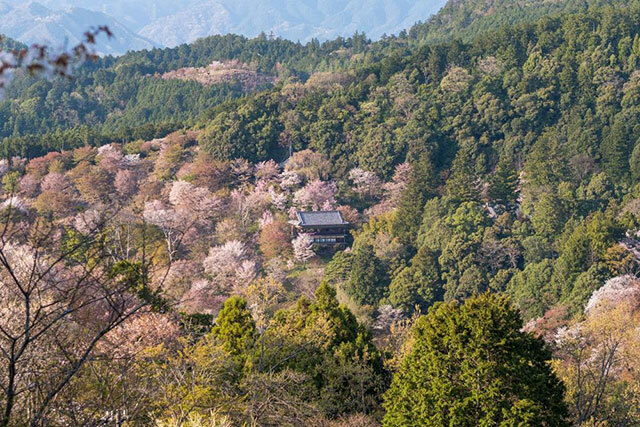 This UNESCO World Heritage site is one of the only buildings that survived when the atomic bomb hit, recognisable by the metal framing of the building’s domed ceiling which remained in tact. Head up the river bank towards the north side of the park where you will find both the Peace Memorial Museum and the Hiroshima International Conference Center. Undoubtedly one of the best ways to truly understand the events of 1945, the Peace Memorial Museum is best visited in the morning to avoid the crowds of people that visit every day. Despite the difficult topic, there is an underlying message of peace throughout the museum including a book at the end of the visit which is filled with messages of hope and love. As the museum visit will most likely take a couple of hours, it’s time to search out a good lunch spot. If you’re reluctant to stroll too far from the park there are several nice restaurants along the river banks and surrounding the park which serve up local dishes. Among these is Kakifune Kanawa, a restaurant with a nautical theme that stands over the river on stilts and serves up delicious seafood dishes including fried oysters. For those looking to escape the crowds, head west along Aioi Dori and off its side streets for a larger choice of both Japanese and western style cafes and restaurants. The Peace Memorial Park itself is a good afternoon visit. 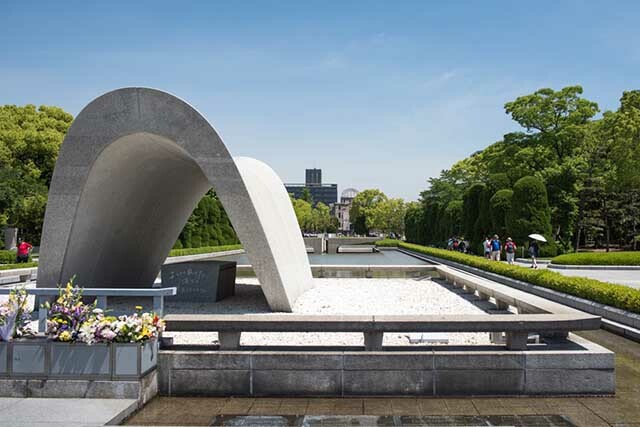 There are several monuments dedicated to the victims of the atomic bomb, including the bridge-shaped Memorial Cenotaph which protects the Peace Flame which has been burning since 1964. The Children’s Peace Monument in the middle of the park is surrounded by cabinets filled with origami cranes and words of peace. Keep an eye out and you can also catch poetry readings or talks all based around the theme of peace. If your dates are flexible, one of the best times to experience the park is on August 6th when the annual Lantern Festival takes place. Make your way back to the Genbaku Dome in the evening where you will be provided a lantern to decorate. Make a peaceful wish before lighting a candle and sending your lantern down the river to float alongside more than one thousand other lanterns.